Virginia Orthopaedic and Spine Center (VOC) is proud to provide compassionate, quality orthopedic care in Culpepper, Virginia. 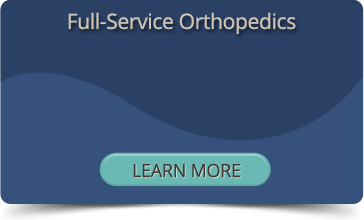 We offer general orthopedic services with a personal touch to anyone with musculoskeletal injuries. While we use the latest technology and have highly skilled doctors and physical therapists on our staff, our community-centered care is truly based on long-term relationships with our patients. We also offer convenient in-house digital X-rays to help evaluate your orthopedic concern. If musculoskeletal pain is interfering with your life, we can help. Call us today at (540) 825-5362 to schedule an appointment or request an appointment online now.